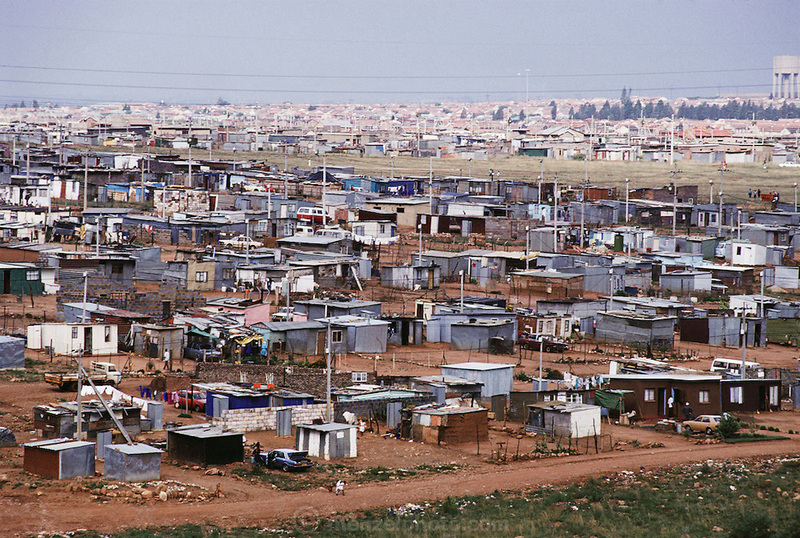 View of the shantytown called "Silvertown", near Soweto, outside Johannesburg, South Africa. Architecture. Menzel's Material World Project.